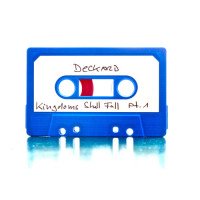 Cassette includes Kingdoms Shall Fall Pt.1 & Pt.2, both as a seamless Mix. Also includes a download card (size of a postcard) for the digital version of the release. Beautifully packaged and handnumbered! 50 copies only!